For any outdoors person, at some point you’ve most likely experienced that rotten situation when you reach into your bag to find that your things are wet. As an avid outdoorswoman, I’ve been there quite a few times. Honestly, there really isn’t a bigger buzz kill then having an awesome day on the water or a hike and wanting to chill at the end, but well … your gear is wet. When I received my Titan Outdoor Products 20L Waterproof Dry Bag ($34.99 – On Sale For $23.99) I didn’t have any outdoor plans on the horizon, but for any of you living in the Northeast, you know that we’ve been experiencing torrential rain. This actually made for the perfect situation to test out the bag. I tossed in gear that I would normally take on a hike plus some clothes and stuck the bag on the back deck overnight. This morning when I got the bag, all of my gear was dry! Being a true reviewer, I went one step further and gave the bag several good punts across the backyard. (Yes, I can kick like the best of footballers). I was happily surprised to see that the bag didn’t open and dump my things across the yard, as well as the bag itself remaining completely intact. 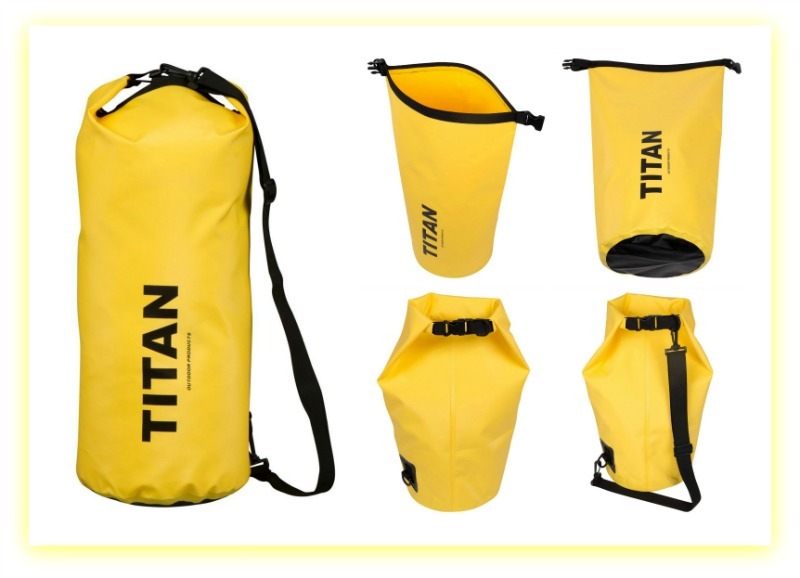 You can get your own Titan Outdoor Products 20L Waterproof Dry Bag on Amazon!